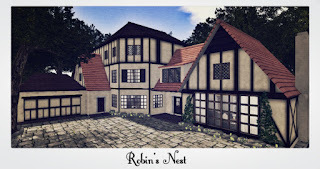 I dedicate this house to my sl mom Robin Capalini for being such a big hearted lady and honoring me as her friend and daughter for the past 8 years! Although we no longer roleplay family, I somehow cannot call her anything but mother. May all your dreams come true and may you always be blessed with happiness and family. The 2-car garage is a separate building. 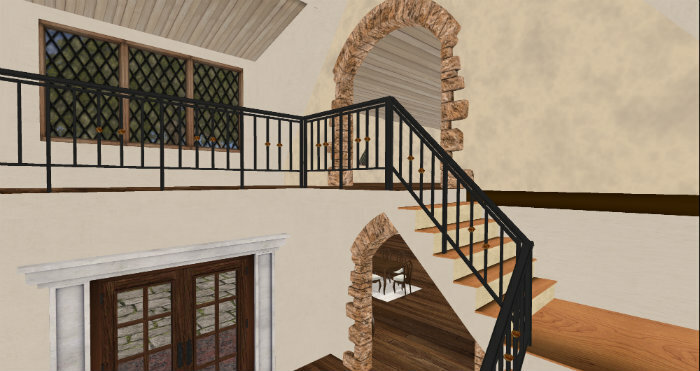 The foyer that separates the Great Room and the 3-storey house. 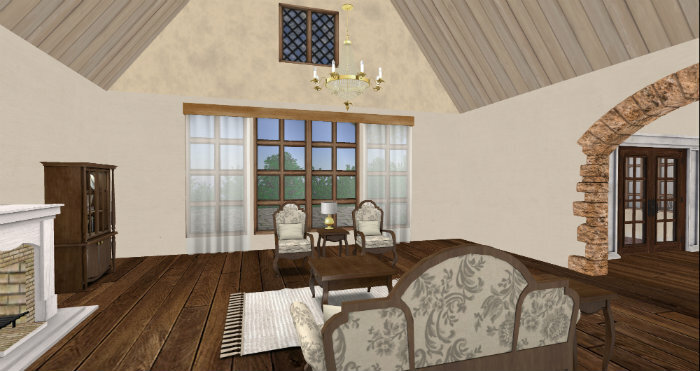 The secret bay window corner above the foyer. 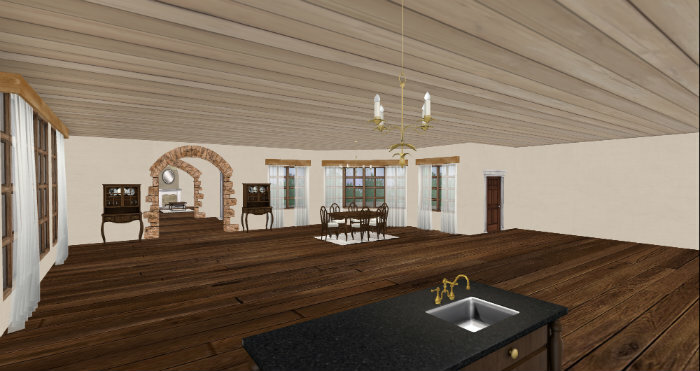 The open concept of the dining, family, kitchen area. 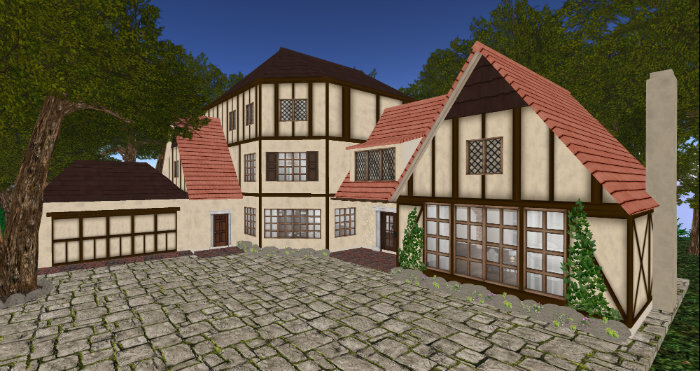 The house is now available for 699L on the Marketplace and my in-world store. Demo is also available for viewing at the in-world store. 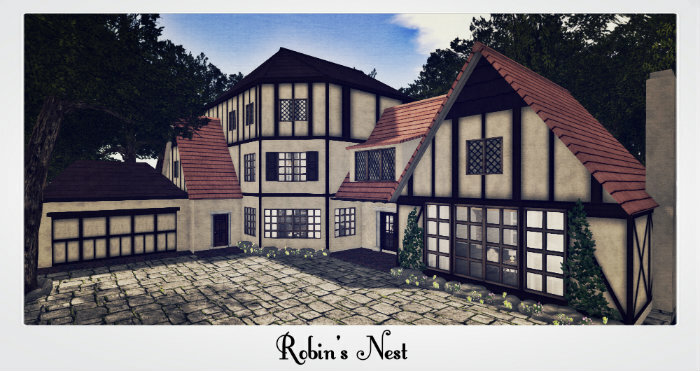 The Robin's Nest Storybook Manor is a whimsical Tudor-styled home. I have made it open-styled to reduce on prims. 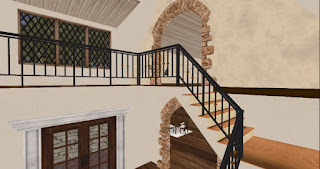 The house is 3-storey high with an attached single-storey Great Room and beautiful wrought iron grille staircases. 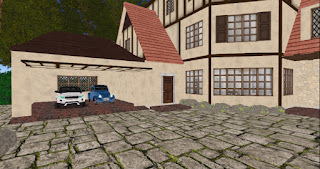 There is also a separate 2 car garage included and tree and foliage landscaping. I have also made 2 rezzer boxes. 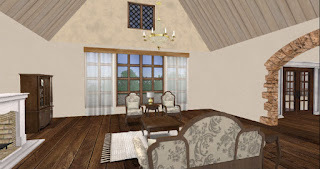 One contains only the Manor without the garage and the foliages. This is 126 land impact. The land area for this is 40x22. 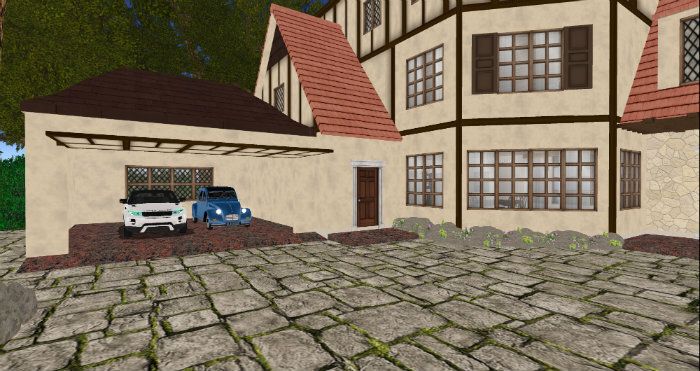 The other rezzer contains the complete Manor with garage and foliages and this is 157 land impact. The land area for this is 40x35. 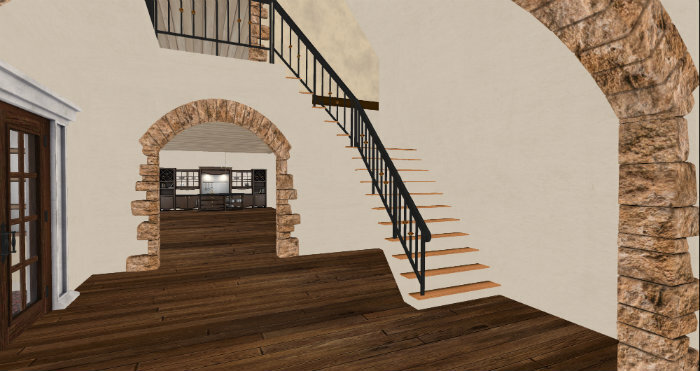 A fireplace is also included in both rezzers. This building is partial mesh. It is copiable and modifiable except for scripts. Please make a copy before you modify, just in case even though there is always a copy in the rezzers. 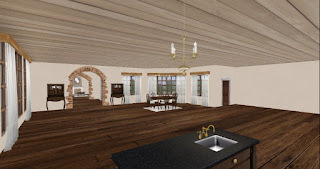 It is also unfurnished. I hope you enjoy your new home and have fun decorating it! Please check the demo at the mainstore if you are unsure about this house.